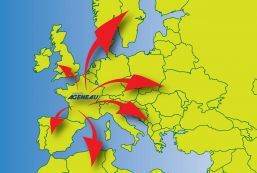 Our goal is to meet the demands of our customers for their the international transport, import or export. From January 2013, we arrange transportation benefits to (or from) all countries of the European Community and the Eastern Europe. Your interlocutors will reply you in German, English or Spanish.